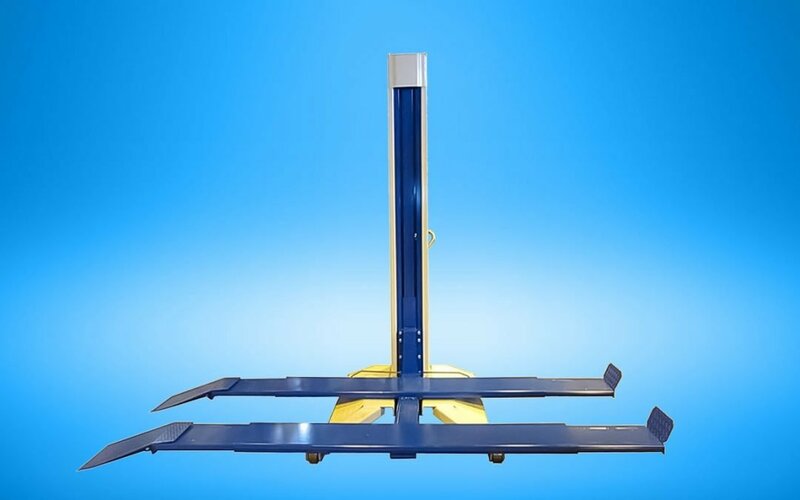 The electrohydraulic 1-post lift, movable for lawn movers and small tractors. 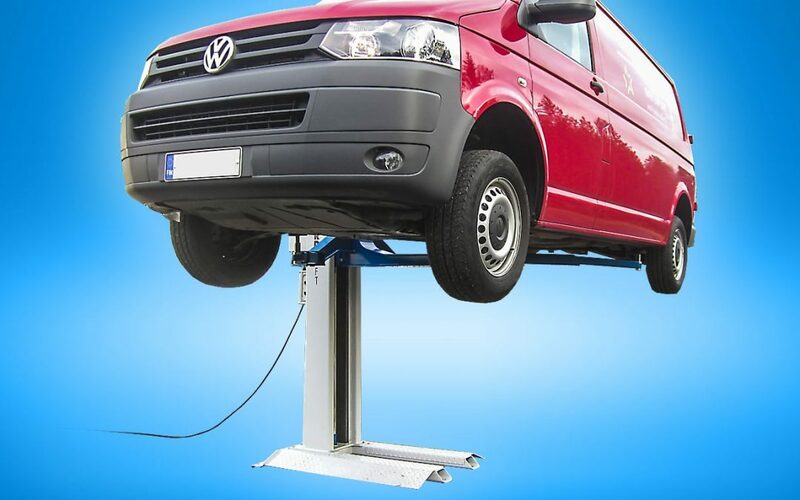 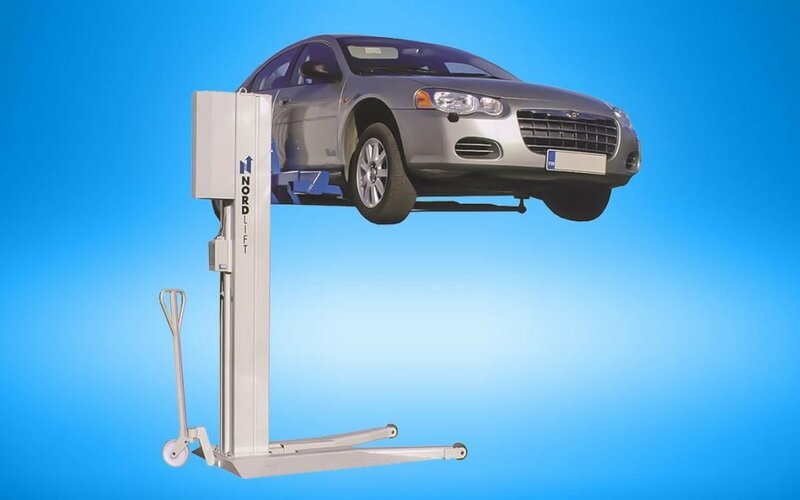 Space-saving and safe portable lift for repair shop use. 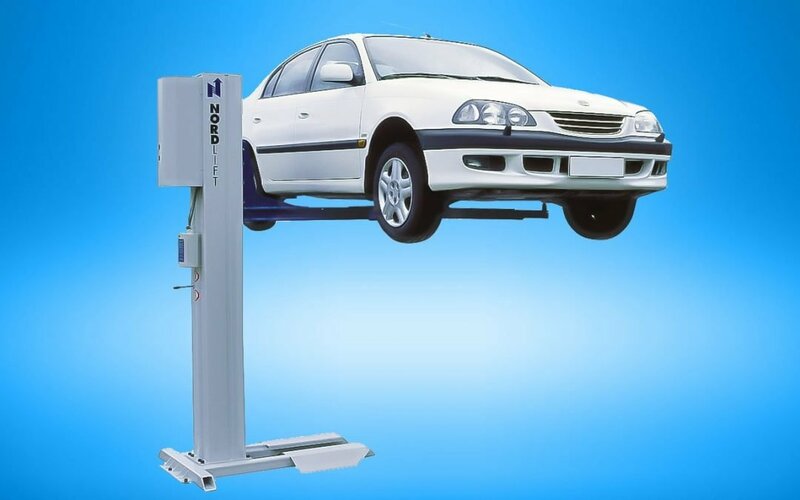 Electro-hydraulic 1-post lift with lifting arms, body repair lift: 2500 kg lifting capacity.